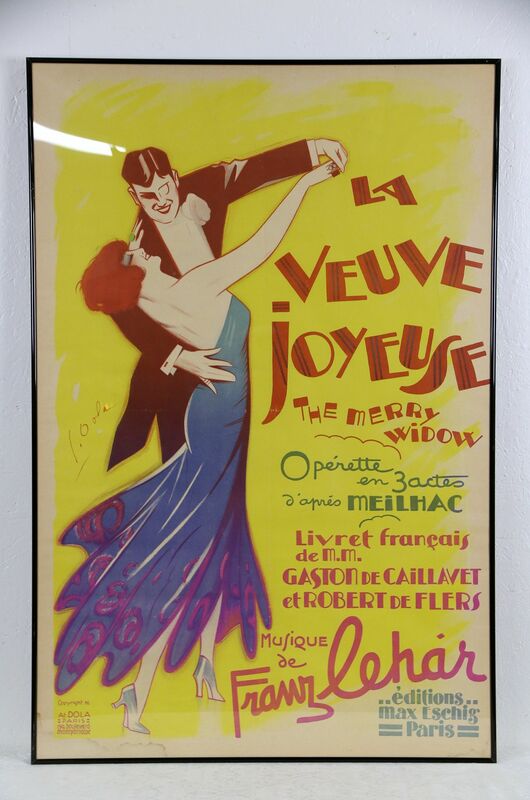 Copyright 1936, this poster for "La Veuve Joyeuse" or "The Merry Widow" operetta by Lehar has a plexiglass and metal frame. There is a water stain bottom left, see photos. Overall size of this poster for a Paris, France production is 31 1/2" wide, 47" tall and 1" deep.